Mutiny is the new fragrance created by Maison Margiela, under the creative direction of John Galliano. Mutiny is in the air. Assert your self-expression. Bannish conformity. Break the rules. The juice and its gold diamond-cut flacon reflect the deconstruction and subversion epitomised by the house into the defiant character of Mutiny. The elegant scent of tuberose was reinvented into three individual powerful notes to reveal all its qualities. Mixed with jasmine, orange flower, and citrus, the hidden powers of tuberose are revealed: magnetic and ecstatic. A leathery accord created with safran, oud and vanilla beans transforms its character allowed to create a genuine and powerful signature. An aroma of unconscious glamour. 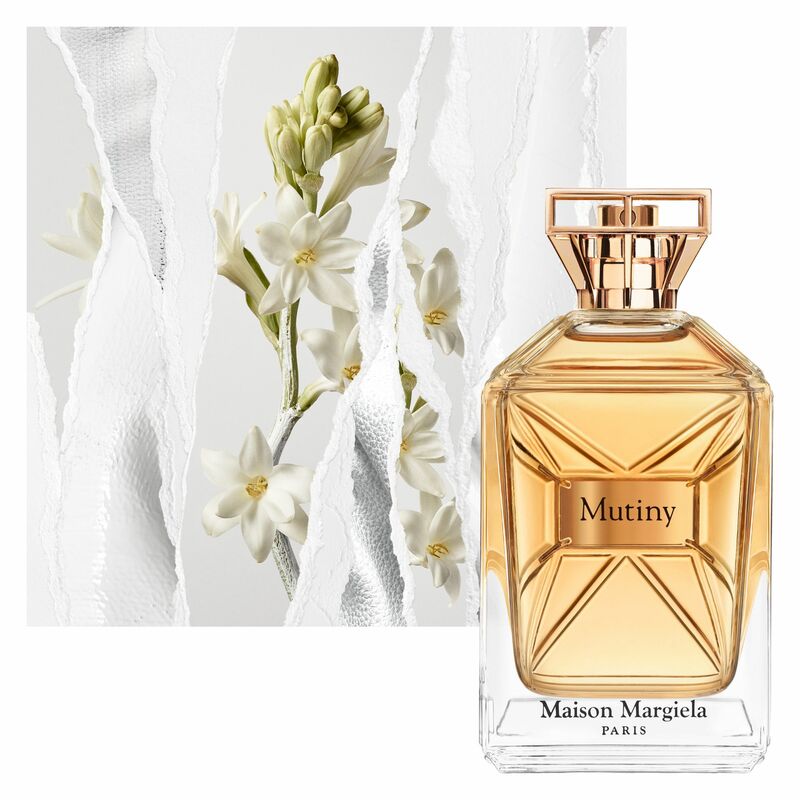 Mutiny is an iconic and iconoclast tuberose, with a modern reinterpretation: sparkling citrus notes echoe and sublimate the green notes of tuberose. Piercing through the top, scarlet spices reinvent provocation in a luminous splash of modernity.In the heart, a white flower bouquet seems to hint toward an academic homage, but a surprising absolute of orange blossom and vibrant cashmeran blows up the codes and invents a radically modern woody floral femininity. In the drydown the inflexions of a woody oud heel gives the final blow to the immaculate femininity of tuberose. This vibrant and explosive contrast is given more sensuality with the balsamic notes of vanilla. Tuberose heart LMR is a high quality tuberose used for the first time in a fragrance. It has been crafted by Dominique Ropion, a master perfumer, renowned expert on this flower, who sought to bring forward its very addictive and fruity coco facet, and express as well all its enveloping floral texture. What is tuberose and why is it so precious? Tuberose is a precious small white flower with an opulent and extremely tenacious scent, and a most intense sillage. Its absolute is one the most precious flowers in the world. The flower and tuberose expert, master perfumer Dominique Ropion, like an artisan, has tried out over 1000 combinations to find the perfect balance for this modern tuberose. 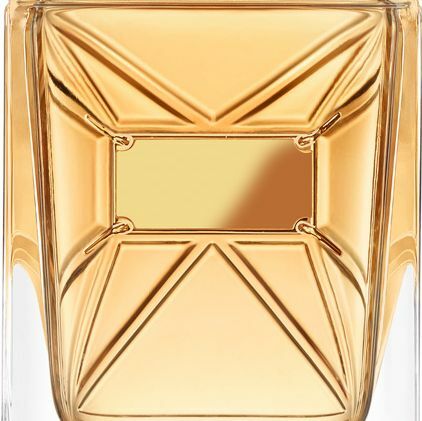 The use of three different tuberose qualities make this floral signature resolutely “modern”, “that’s why it is so radiant, warm, creamy and also resolutely confident, subversive and authentic” confides Dominique Ropion, master perfumer and author of this modernist creation. It is also “unique” thanks to the addition of an ingredient, Florawood, dedicated to Mutiny, and which helps sublimate and reinforce the floral facets of the tuberose. Lastly, it is truly “original” due to the contemporary leathery accord used in this formula. Reach new heights and escape gravity. A daydream into the endless skies. An interstellar ballet. All moves are slowed in this gracious choregraphy.